One of the greatest breakthroughs in the field of 3D printing materials in recent years was the launch of a process that makes 3D printing with silicone possible. Learn more about this exciting development. Throughout history, inventions and breakthroughs in the field of material science have influenced the development of societies. And it is not very different nowadays. The likelihood of these breakthroughs having a significant impact on our technological future is extremely high. Take 3D printing as an example. New material discoveries allow us to produce tools, mechanical parts or even functional prototypes in a completely new way. But not only that, it also unlocks a new level of freedom for the manufacturing industry to design and innovate. In the end, having a wide range of 3D printing materials available makes the product development easier than ever before. Especially when these materials mimic their traditional counterparts but have had certain properties adjusted to fit new applications. One of the most recent developments in additive manufacturing was the emergence of a new technology that enables the use of silicone as a 3D printing material. The announcement brought excitement to the industrial 3D printing community. After all, 3D printing with actual silicone is a game changer. It serves so many markets: medical, automotive, consumer products… even contact lenses. We can safely say that it is one of those breakthroughs that will truly impact our technological future. Before that, producing silicone parts was only possible through injection molding. An extremely expensive process due to the high cost of developing molds. Clearly not suitable for the creation of prototypes, bio-models or small batches of products. Ironically, the reason why silicone was so attractive as a 3D printing material was also what made it not a viable option: its material properties. It is not possible to melt silicone by exposing it to heat and then print a 3D object layer by layer like it is with plastics or metals. For those reasons, several companies have attempted to develop materials that would simulate silicone although it was never truly the same. 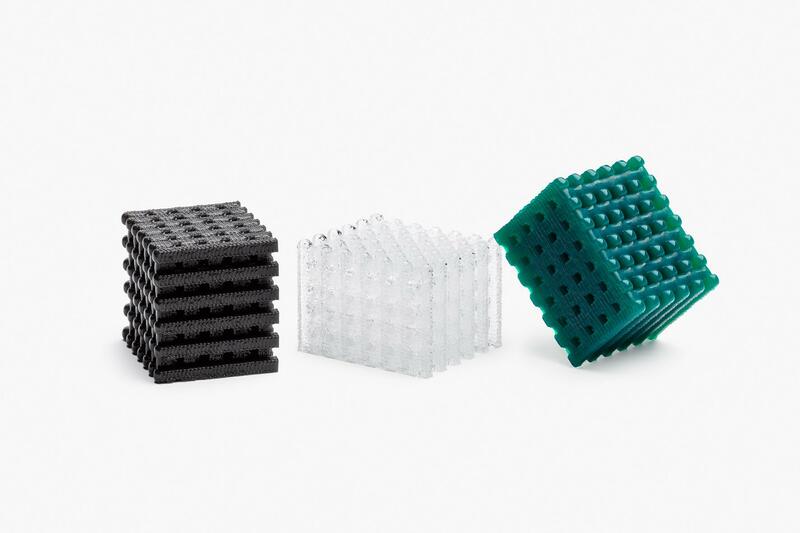 The new technology, developed by ACEO in partnership with WACKER, have made it possible to create 3D objects from silicone materials without thermal changes. Basically, this technology pushes the material out of the printer – in the same way you do with your toothpaste. Curious about the cost for Silicone 3D printed parts? Upload your files to get prices and lead times. It's free and easy. How does Silicone 3D printing work? According to WACKER, the 3D printer functions just like an inkjet printer. The workspace and a robot are within a glass case. One by one, tiny droplets are rapidly extruded from the nozzle onto to the printing area until a fine line is created. A computer gives the exact coordinates in order to form the desired shape. The area is then exposed to UV Light which causes the silicone to immediately vulcanize. The process is repeated until the object is formed. Once solidified silicone does not come back to its liquid state, so the final objects are – just like traditionally produced silicone parts – heat resistant. Important to mention is the impressive precision with which the robot lays down the droplets to form extremely fine structures. We have seen structures where the width of the silicone strip was just 0.6mm and half the thickness. Temperature and radiation stability, allows it to be exposed to temperatures that vary from -50 to +300 degrees. It has impressive elastomer properties, with a high variation of hardness being suitable for applications where a low compression set or high flexibility are required. It is biocompatible, making it a good option for several applications in the medical field. Transparency makes it applicable for optical equipment, for example. It is electrically conductive but also an insulating material. Needless to say, that it can also be used for sealing in automotive industry and other hydraulic applications where flow of fluids needs to be secured.